Scientists at the University of Guadalajara in Mexico say the Weber blue agave, used to make Tequila, may produce compounds leading to better treatments of the colon diseases. The researchers say the agave fruit may aid in delivering drugs to the colon, which could help doctors fight ulcerative colitis, irritable bowel syndrome, cancer and Crohn's disease. Compounds in agave, a class of polysaccharides known as fructans, keep stomach acids from breaking down the drugs, so they can reach the colon and fight the disease. The research was presented at the American Chemical Society. Good fortune struck recently when I won a cruise aboard the Regent Navigator for doing nothing more than shopping my local Harris Teeter grocery store. At first I thought it had to be some kind of scam, but it turns out that I was automatically entered for shopping the store and using my Harris Teeter VIC Card to get the weekly discounts. I had been trying to get my wife, Sandy, on a cruise for 24 years, and after the bumpy ride on the ship thanks to some choppy seas, it might be another 24 years. But, that's another story. The folks at Harris Teeter rewarded shoppers from each of its stores, plus employee incentive winners, with a first class 5 night cruise that left from Fort Lauderdale, sailed to Key West, then to Cozumel, Mexico, and onto Nassau, in the Bahamas. Harris Teeter treated the winners extremely well and made sure everyone had a great time. At the stops along the way we made sure to find some local beers to enjoy in the tropical settings. The next Tuesday Tasting will recap three brews from the voyage. One of the interesting things from the trip was being reminded about visual selling and its impact the drinks business. If one person ordered a pina colada at the pool bar, the next moment there would be 10 pina coladas being poured from the blender. I experienced this when I found they had Grolsch at that bar. Most of the customers were ordering Bud Light and Corona. As soon as my swing top bottle of Grolsch arrived, the next five beer orders were for Grolsch. I don't think the bartender was thrilled with me since he had to chase into the kitchen area behind the bar to fetch each bottle. We were also reminded that a number of "famous" watering holes, from the Hog's Breath Saloon to Jimmy Buffett's Margaritaville to Senor Frog's are really more t-shirt shops for tourists than legitimate bars. I bet much of their profits come from the gift shops, rather than across the bar. My advice to anyone taking a cruise: when you get off the ship hire a taxi or rent a car to get as far away from the port area as your time ashore will allow. We did this in Cozumel and had the best time of our trip driving the road along the coast of the island and stopping at Mr. Sancho's Beach for some fresh fish and a couple bottles of Sol. It beat the heck out of sitting with the other tourists near the pier. -- A joint venture with Vietnamese dairy firm Vinamilk on a $45 million brewery in Binh Duong Province. The partners celebrated the opening of the plant this week, which has rolled out a new brew: Zorok. -- A plan to invest $170 million in a new brewery in Ulyanovsk, Russia. The brewery will have a 3 million hectolitres capacity and should start production in 2009. -- A $1.8 billion investment over five years in South America to boost capacity in Columbia, Peru and other countries. -- SABMiller is considering a major investment in Sudan to strengthen its production capacity in Africa. Meech Photo Exhibit Opens in London: "The World of Beer: A Universal Language"
London's Proud Galleries opened an exhibit today called "The World of Beer: A Universal Language," by photographer Phil Meech and art director Ed Robinson. The pair traveled the world documenting the brewing, drinking and beer culture. Brewer SABMiller sponsored the trip, which included stops at breweries and bars. The exhibit is at Proud Galleries Camden, Chalk Farm Road, London, from March 29 to April 29. Information is available at http://www.proud.co.uk. Making great wine requires skill and more than a little luck. Winemakers have many challenges in the quest to make a great vintage. Add ladybugs to the list. According to an Iowa State University study presented recently to the American Chemical Society, a growing number of wines suffer from what is being called Ladybug Taint. Ladybugs are a natural control for aphids and other pests. But Iowa State researchers also found they excrete a foul-smelling liquid that is damaging some wines with a green pepper or roasted peanut odor. It turns out that ladybugs produce methoxypyrazines, a natural defense mechanism. Certain species of ladybugs release more of these odors than others, which the researchers found could have as many as 28 different odors. Ladybugs are often present in vineyards and the researchers say only a small amount of methoxypyrazines mixing with grapes can impact a wine's flavor. Wisconsin state Sen. Pat Kreitlow thinks that a state better known for its beer than its wine should allow retailers to offer beer samples to customer. Currently, state law allows retailers to offer 3-ounce wine samples to customers, but not beer. Sen. Kreitlow's bill would allow retailers to offer customers two 3-ounce samples of beer between 11 a.m. and 7 p.m. The bill could come up for a vote in early May. Could the folks at Disney be hatching a plan to get kids hooked of Champagne? A Scottish health official believes so and has asked the company to stop marketing a sparkling fruit juice. Alcohol Focus Scotland Executive Jack Law says Disney Partyfizz, a non-alcoholic juice drink, too closely resembles Champagne. Laws says Scotland has a major adolescent drinking problem and the gold foil-wrapped packaging is teaching kids that drinking is acceptable. Disney has not issued a statement on the matter. as Four Points by Sheraton’s new Chief Beer Officer. The chain has launched a program of offer craft beer at each of it locations and wants to be know as the Beer Hotel. Kerkmans' first duty will be to ring the opening bell at the New York Stock Exchange. He will also lead tours of breweries and be responsible for selecting new beers to be added to the company's beer list. Kerkmans beat out 7,500 applicants for the non-paying position. He was the winner of a run off against four other finalists. "It is an honor to be Four Points first-ever CBO,” said Kerkmans. Is Carbon Dioxide Against God's Law? In South Africa a group of Islamic jurists is trying to decide if beer gas is evil. A division of SABMiller plans to use excess carbon dioxide from beer production to put the fizz in soft drinks bottled by subsidiary ABI. The problem is that Muslim law prohibits the consumption of alcohol and now the National Independent Halaal Trust is investigating the situation. There have been carbon dioxide shortages recently in South African, so SABMiller came up with the plan to harvest and purify the gas. ABI bottles Coke, Fanta and Sprite. America's largest brewer has won the latest round in the on-going international Budweiser trademark dispute. The Anheuser-Busch Cos. won a court ruling in Italy against Czech brewer Budejovicky Budvar. The court said A-B has rights to the Budweiser brand name in Italy. The company has owned rights to the Budweiser name in the country since 1990. Budejovicky Budvar had recently attempted to register the Budweiser Budbrau and Budweiser Budvar names. The U.S. Department of Health and Human Services conducted a study to examine if Medicare should fund an effort aimed at discouraging alcohol use. The hypothesis was that reducing drinking would save the program money. One little problem: the study found that drinking wine reduces health care expenditures. Using data gathered over a five-year period on more than 4,000 healthy adults in Forsyth County, N.C., Sacramento County, Calif., Washington County, Md., and Allegheny County, Pa., the study found that light to moderate wine drinkers each save Medicare about $400 annually. The study looked at the rate of medical care, hospital stays and costs of each stay. People consuming six to 13 glasses of wine per week had the lowest Medicare costs, when compared to nondrinkers or heavy drinkers. Non-drinkers and heavy drinkers cost Medicare about the same amount of money. A group of North Dakota students is working to gather 15,000 signatures on petitions to get an initiative on a statewide ballot to raise North Dakota's beer tax. Students Against Destructive Decisions says the $1.3 million in new tax revenue would finance a state commission that would work to prevent alcohol and drug abuse. The student's plan calls for raising the tax of draught beer from 8 cents a gallon to 16 cents and the tax on beer in cans and bottles from 16 cents per gallon to 24 cents. That would cause the price of a case of beer to go up 18 cents. The students claim that studies show North Dakota youth have the highest rate of binge drinking in the nation. If you travel at all internationally, you will find yourself in a duty free shop or two. Chances are you might even grab a bottle of spirits or wine that is remarkably affordable because the taxes are stripped away. However, few of us will ever have the desire or the means to match the prowess of a Chinese tourist who passed through the Charles de Gaulle Airport in Paris on Tuesday. The unidentified man dropped $38,165 on brandy and wine during a 15-minute whirlwind shopping spree and then boarded a plane for Beijing. Among his take was an 1806 bottle of Cognac, a 1900 bottle of Armagnac and a 1945 Chateau Mouton Rothschild. The Paris duty free shop has recently added personal shoppers to assist wealthy travelers wishing to avoid the tax man. Anyone who likes wine and has ever visited a winery has thought to themselves, "I'd love to do this for a living." There is a company in San Francisco that is helping dreamers with cash go from the idea to reality, without the hassle of planting vines, harvesting grapes or bothering with building an actual winery. Crushpad, which calls itself "the urban winery that is democratizing winemaking," is holding a wine branding and sales workshop on April 21st for more than 50 clients who are set to launch wine labels. Crushpad has a new 30,000 square foot winery in San Francisco that can handle production runs starting as small as 50 cases. Crushpad has more than 2,000 clients that range from wine enthusiasts who want their own label to impress friends to wine bars looking to create a signature offering. While private labeling has been around in the wine business for years, the difference in this case is that Crushpad works with wannabe winemakers to create small-lot custom wines from grapes the company sources. The interesting thing will be to look back in 10 years to see if any of the 50 new brands represented at the workshop breaks through commercially and forges ahead to build its own winery. However, a current 3 percent tax on beer is due to expire this year. If the Legislature does not act to renew the this tax, beer drinkers could actual see a 2 percent decline in the levy on suds. An panel of women judges has awarded medals to 816 wines from 30 states in the first-ever National Women’s Wine Competition. Winning wines can now claim to be Certified Women Love It! wines. The competition was held to recognize the fact that women make the majority of the wine buying decisions in the U.S. and have a growing presence in the industry, but most judging panels and wine journalists are men. Palmeri Wines 2002 Napa Valley Cabernet Sauvignon/Syrah, Stagecoach Vineyard, Calif.
Veritas Winery 2005 Kenmar Traminette, Monticello AVA, Va.
Red Wines: Palmeri Wines 2002 Napa Valley Cabernet Sauvignon/Syrah, Stagecoach Vineyard, Calif.
White Wines: Windsor Vineyards 2005 Johannisberg Riesling, Windsor, Calif.
Sparkling: Gloria Ferrer Champagne Caves Gloria Ferrer NV Blanc de Noirs, Sonoma, Calif.
Dessert: Veritas Winery 2005 Kenmar Traminette, Monticello AVA, Va.
Red Wines: Carol Shelton Wines, 2004 Wild Thing Zinfandel, Mendocino County, Calif.
White Wines: Snoqualmie Winery/Chateau Ste. Michelle, 2005 Snoqualmie Naked Riesling, Columbia Valley, Wash.
Sparkling: Domaine Carneros, NV Brut Rose Cuvee de la Pompadour, Carneros, Calif. In recent seasons you have not been able to enjoy a cold beer in the bleachers at Dodger Stadium in Los Angeles. That's set to change this year for at least part of the cheap seats. Bleacher seats have long been a place for fans who want to spend under $10 and still get to see a Major League Baseball game. I've done it a couple of times in Yankee Stadium and at Coors Field in Denver, and found it a pretty good place to watch a game. In a number of stadiums beer sales in the bleachers have been banned in recent years. All it takes is some fool dumping their $7 plastic cup of suds on a $7 million outfielder and you get demands for a ban on beer in the bleachers. The Los Angeles Dodgers are marketing an all you can eat ticket for the Right Field Pavilion at Dodger Stadium. For $35 in advance or $40 on game day you can get a tacket and all of the hotdogs, nachos, peanuts and soft drinks you can handle. You are also allowed to buy beer. It would appear that someone in the Dodgers organization believes that fans paying $35 for a ticket would never dump a brew on an opponent's head. The fans in the $8 seats, however, cannot be trusted. Would you buy a wine labeled "Napa" from China? How about a "Champagne" from California? Wineries from the United States, Europe and Australia are meeting with officials in Washington this week to try to get tougher labeling standards for wine that protects specific geographic designations. The wine world has long given significance to appellations. The belief is that the climate, soil and other growing conditions influence the grapes and that consumers come to expect a certain level of quality from a Bordeaux or a Sonoma wine. The problem is that with fame comes imitators. In some cases the battle has been going on for generations. Champagne has become a universal word for sparkling wine, while Port is generic for a sweet fortified wine. The makers of the original versions of these wines believe they could boost sales if consumers were not misled by labels of producers not from their regions. The U.S. and Europe did sign a deal last year to keep wineries from launching new wines using names such as port, sherry or burgundy on the label. Existing brands were grandfathered in under the law and do not have to change their labels. Tuesday Tasting is a regular feature of Lyke2Drink that explores some of the best beers, wines and spirits on the market. This week we head to San Francisco to check up on the multi-tasking Fritz Maytag and try a little bit of all three. Fritz Maytag is one of the founding fathers of the American craft brewing movement. If he had done nothing more than save a failing San Francisco brewery in 1965, and with it the Steam Beer (California Common) style, we would all owe him a debt of gratitude. But Maytag has done much, much more. Anchor Brewing is a success story. Anchor Liberty Ale, Porter, Old Foghorn Barleywine, Christmas Ale and other products should be on every beer lover's "to drink" list. In 1968, Maytag started to operate a Napa Valley vineyard, selling grapes to wineries. It was not until 2000 that the company opened a winery in Spring Mountain. In 1993, Anchor quietly began distilling, releasing a whiskey in 1996 and a gin in 1998. "Over the last 40 years we've proven the small guy could provide variety to the beer business," Maytag says. "Now we've changed the American whiskey business by what we've done. Quantitatively, we're nothing. But qualitatively what Anchor Distilling has done is everything." Lyke2Drink had the chance to sample a range of four Maytag inspired beverages recently and found each offers consumers a great taste experience. Anchor Steam Beer: This is a beer that has been around since 1896, but gave many of today's Americans their first craft beer experience. It is 4.9 percent alcohol by volume and is a light amber color. The beer has a crisp, fresh malt flavor that makes it a classic among American lagers. While I enjoy this brew from a bottle, it is a treat when you can find it on draught in the eastern U.S.
Old Potrero 18th Century Style Whiskey: A barrel strength 123.2 proof whiskey usually is not this smooth. The 100 percent rye whiskey is pot distilled and aged in slightly toasted oak barrels for between 18-30 months. The whiskey is amber gold, with a nice fresh wood nose and flavor profile. There are attractive hints of almond and nice bits of subtle spice throughout. York Creek Vineyards 2003 Cabernet Sauvignon: Deep black cherry red, this is a smooth wine with plenty of plum and berry flavors. It has a velvety and dry finish. The wine is 14.8 percent alcohol by volume and is a blend of 80 percent cabernet sauvignon, 5 percent cabernet franc, 12 percent merlot and 3 percent petit verdot. This is an extremely drinkable wine. York Creek Vineyards 2003 Port: Made with 75 percent Sonoma and 25 percent Napa grapes, this port combines five different varietals in its blend. At 20 percent alcohol by volume you do get a nice warming sensation from a glass of this port. York Creek Port is a rich deep burgundy color and appears thick in your glass. There is plenty of fig and plump raisin flavors throughout. I remember a couple of restaurants when I was growing up in Syracuse, N.Y., that had door bell-like buttons in each booth on the walls where patrons could literally "buzz" their waitresses if they needed another drink or were ready for the check. Most of the places had disconnected these devices, probably because of kids like me that just could not resist constantly pressing the button throughout dinner. Enter the age of the computer, with microchips, sensors and wireless connectivity. Mitsubishi Electric Research Laboratories (MERL) in Cambridge, Mass., has developed iGlassware. The new glasses are equipped with sensors that send a signal to a restaurant's wait station when a glass is nearly empty, prompting the server to stop by and ask if anyone would like another round. While patrons may like the glassware as a remedy for bad service, restaurant owners may also find it beneficial. Research suggests that customers are 40 percent more likely to order another drink if a waiter asks about a refill before the current drink is finished. MERL is in the process of trying to find customers who want to install the system. While Utah government officials are confiscating vanity license plates with offending words like MERLOT and CHIANTI, officials at the Virginia Department of Motor Vehicles are ready to stamp out special "Virginia First in Wine" plates. All the Virginia Wineries Association has to do is come up with 350 drivers ready to make the switch and plunk down $25 for the special plate. The Virginia General Assembly passed legislation in 2005 authorizing the plates. However, the DMV has a rule that 350 people must sign up for a new style plate before they will begin to stamp them out. The plates recognize the fact that Jamestown settlers began experimenting with making wine from wild grapes when they arrived in 1607 and a Virginia House of Burgesses bill passed in 1619 required every landowner to plant ten grape vines. The Virginia Wineries Association is up against a ticking clock to get the 350 applications for plates. The law authorizing the plates expires on June 15. Right now they have about 120 people signed up. Ireland's Kilbeggan Distillery started making whiskey today after being mothballed for more than 50 years ago. The distillery in County Westmeath is using potstills that were in use at the facility more than 130 years ago. Kilbeggan's operators are targeting 2014 for the release of its first whiskey. This is the second time in a week that a disused distillery has been in the news for making a comeback. Bruichladdich announced plans to relaunch a Port Charlotte distillery that was last making Islay Scotch 80 years ago. The head of the Australian Wine and Brandy Corporation, an Australian Government authority that helps promote wine from the nation, says that competition responsible for driving down prices is hurting vineyards. Michael De Palma, director of the Australian Wine and Brandy Corporation, said that 90 percent of the industry is not turning a profit, with smaller vineyards hurting the most. Australia's recent growth in production has been partially blamed for a glut on the international market and depressed prices. Now imports from Italy and Spain of mid-priced premium wines is taking domestic share away from Australian winemakers. De Palma noted that a drought and lower production during the most recent grape harvest have some vineyards considering options to exit the business. You can no longer legally have multiple wives in Utah, nor can you apparently have a license plate that has anything to do with alcoholic beverages. Utah resident Glenn Eurick found this out recently when he received a letter from the Utah State Tax Commission saying that he would have to turn in the plates that he had been using on his car for a decade. It was not a driving offense that caused the state government to crack down on Eurick. It was the word spelled out on the plates. No it was not one of those seven words George Carlin has built a career around not saying on television. The word? MERLOT. Utah says any words involving alcohol, drugs or are otherwise offensive cannot be used on state license plates. Eurick is appealing, saying he will try to replace the plate with one that says "NO MERLOT" if Utah stands by its original order. It's St. Patrick's Day, which for many Americans means it's time for green beer, Guinness, Irish whiskey, Irish coffee, Bailey's or all of the above. Most of us "professional" drinkers consider this amateur night and prefer to stay away from any bar with even a slightly Irish sounding name. If you are out celebrating everything Irish that comes in liquid form, we strongly suggest the use of public transportation. That's why a recent announcement by the Metropolitan Transportation Authority in New York kind of caught us off guard. You see, on the Long Island Rail Road and Metro-North Railroad riders have long been allowed to bring adult beverages on board or purchase a drink from bar carts on some trains. That's right: the MTA has banned alcohol on its commuter rail system for today. St. Patrick's Day. America's drinking holiday. Is this stereotyping? Discrimination? Or just a fear of Irish men and women (and wannabes) having fun? The MTA says it just wants to "maintain order" on the trains. It notes a similar ban has been in place in the past for New Year's Eve and for the day of the Belmont Stakes Triple Crown horse race. Some on the MTA Board have also called for a complete ban of alcohol on the trains. St. Patrick's Day is an easy target as a first step. Travelers can find airport beer bars dedicated to Budweiser, Samuel Adams and Saranac, among other brands. Now Heineken is rolling out a branded pub theme for airports. 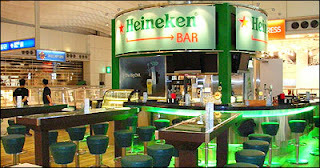 The first Heineken location is at the airport in Hong Kong. Everything from the colors of the bar stools to the ads on television sets in the bar screams Heineken. The Netherlands brewer says it is testing the Heineken branded bar concept in airports. If the concept proves popular, the bars could spread to city locations. At $70 a pair what beer connoisseur would not want the latest limited edition sneakers from Reebok? I'm not exactly expecting a run on this style like mall stores experience when the latest NBA star releases a signature model, but the low-cut sneaker with a small pint on the heel is high-style for the pub crowd. 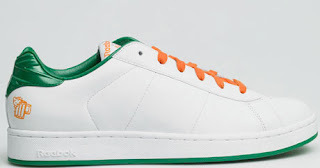 Released in time for St. Patrick's Day, Reebok sent the shoes to retailers in Boston, Chicago, New York and San Francisco. The sneaker is part of a series of limited edition holiday offerings from Reebok. According to the Wine Institute, exports of wine from the United States climbed 30 percent in 2006, jumping from $673.5 million to $875.6 million. The jump is a good sign for domestic wineries for several reasons. First of all, the dollar increase came on only a 4 percent bump in volume. That means that a glut of domestic wine caused by rapid planting has been reduced so that vineyards are able to get more for their product. Also, it may signal an increase in shipments of higher priced boutique wines. The increase came while several large wine exporting nations, including France and Australia, have been struggling with depressed worldwide wine market. The Wine Institute says that 95 percent of all U.S. exports come from California. The export segment accounts for about 15 percent of the business done by California wineries. California has more wineries than any other state. The Provincial Court of Madrid has turned away claims by Bacardi that it is the owner of the Havana Club rum brand name in Spain. The court said that selling a rum not made in Cuba using "Havana" in the name could mislead Spanish consumers. We can expect to see more of this in the coming years as beverage giants Pernod Ricard and Bacardi battle it out over who has the rights to the Havana Club rum brand. Bacardi, which fled Cuba nearly a half century ago during the communist takeover, says it is the rightful owner of the brand it had once manufactured in the country. Bacardi started producing Havana Club for sale in the U.S. last year. Pernod Ricard has produced Havana Club in a joint venture with Cuba Ron since 1994. Products made in Cuba are banned from being sold in the U.S.
Tuesday Tasting is a regular feature of Lyke2Drink that explores some of the best beers, wines and spirits on the market. This week we make a slight departure from our normal tasting regime and, in honor of the approaching St. Patrick's Day celebration, recall three stouts that have passed into brewing history. Stout is my favorite style of beer. The reason I enjoy it so much is that stout is not one style of beer; it is actual a wide range of ales hiding under a dark colored cloak. You can have a dry stout or a sweet stout. You can enjoy a low alcohol session stout, or a high octane stout that will rock your world. They come smoky and sweet, or you can find them flavored with everything from chocolate to coffee. Over the years I've had some fantastic stouts. I have a great respect for the three Irish classics: Guinness, Murphy's and Beamish. You can put me in a dive bar in just about any place in the world and, as long as they know how to build a proper pint using one of these three stouts, I'm happy to hang out and listen to bad music on the jukebox and watch the fuzzy picture on an old 25 inch television set. Empire Black Magic Stout: Empire Brewing opened in my hometown of Syracuse, N.Y., in 1994 and they had a ten year run before the financial difficulties brought on by expansion locations in Buffalo and Rochester caused the company to fold. The closure took with it what I still believe is one of the finest versions of a dry Irish stout produced by an American brewpub. Black Magic was rich and slightly chewy, with plenty of character. It could ward off the Syracuse winter, but it was equally refreshing on a hot August evening. There are rumors that the old Empire site in Syracuse could reopen as a brewpub sometime soon. I wonder if someone still has the Black Magic recipe? Oasis Zoser Stout: Brewed in Boulder, Colo., first at the company's brewpub and then at the Rockies Brewing Co./Boulder Beer Co. in Boulder. Zoser Stout was actually an oatmeal stout with plenty of nice characteristics. This was a thick, dark as dark gets stout with a hint of chocolate and a faint smoky finish. I had my first Zoser Stout during a visit to Denver one year and it was always a beer that I would look for at the Great American Beer Festival. Brock's Extra Stout: Made by Ontario's Niagara Falls Brewing Co., Brock's was a very dark brew that poured a rocky brown head. The flavor profile told you it was packing a little extra alcohol, but it was a well balanced beer. Niagara Falls is still brewing today, but it discontinued making Brock's a couple of years back. This was a great beer that deserves reprising as a seasonal or as a limited release brew every couple of years. America's smallest state is getting into the long line of states that are looking at increasing beer and other alcohol taxes as a way to boost revenue. The Rhode Island General Assembly is expected to consider a bill this session introduced by Rep. Edwin Pacheco that would add a penny to the cost of each 12 ounce brew sold in the state. The money from the tax increase would go to fund alcohol treatment and education programs. Rep. Pacheco says that long waiting lists at treatment facilities need to be reduced. Rhode Island estimates the tax increase will raise $2.3 million. In somewhat of a "man bites dog" kind of a story, Anheuser-Busch has made a $300,000 donation to the University of Mississippi to fight alcohol abuse on the school's Oxford, Miss., campus. A-B is going to help fund a social norming research study started three years ago by the Ole Miss Center for Health Promotion. The project involves research and education designed to dispel myths among college students that most of their fellow students drink heavily. The program's goal is to give students accurate information and help them make responsible decisions about consuming alcohol. Some at Ole Miss are against accepting A-B's donation and argue that the social norming solution does not work as well as mandatory freshman alcohol awareness programs and strict enforcement of laws regarding underage drinking. The fact of the matter is that the anti-alcohol crowd is showing its true colors in this case by calling on the University of Mississippi to reject the donation. 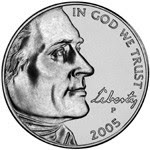 A-B's willingness to step forward with a grant of this size to help encourage responsible alcohol consumption by students is solid corporate citizenship and offers an opportunity to implement a real world answer to an issue facing many colleges across the U.S. Clearly, the Neo-Prohibitionists do not want to work on effective solutions to potential abuse, but would rather have a total ban on alcohol. New York's nickel deposit law on beer and soda containers first took hold in 1982. Now 25 years later, Gov. Eliot Spitzer wants to expand the deposit law to cover non-carbonated drinks, such as bottled water and teas. It might sound like small change, but part of the measure is a grab by the state of New York for millions of dollars in unclaimed deposit receipts. According to figures from 2004, New York consumers paid $264.2 million in deposit fees. The state says that $81.3 million of those deposits went unclaimed. In the past, the money has ended up in the hands of wholesalers and bottlers. If bottled water and non-carbonated drinks are added to the list of beverages requiring deposits, it's estimated the unclaimed funds would easily top $100 million. Gov. Spitzer says the funds would be used for environmental programs and he has included the money in the state budget proposal. He has the backing of environmental groups and local governments, who hope to get grants funded by the unclaimed deposits. On the other side of the coin in this debate is a group calling itself New Yorkers for Real Recycling Reform. Made up of beverage companies and retailers, they claim adding the new containers to store recycling streams will cause the system to be overloaded and drive up beverage prices. They also charge that the deposit law expansion amounts to a new tax from the new governor. The anti-deposit group is pushing to have the entire deposit law scrapped, arguing that curbside recycling is a cleaner and less costly method for handling recycling. There's further proof, this time out of Scotland, that a whisky renaissance is in full swing. Bruichladdich says it plans to reopen a distillery in Port Charlotte on Islay that has been closed for 80 years. The move is part of a number of recent announcements by distillers in North America and Europe regarding expansion plans at existing facilities and new construction. The demand for quality whisky is growing and creating opportunities. The difficulty for many distillers is that stocks of aged whisky take years to build, so forecasting demand seven, 12 and even 15 or more years down the road can be a difficult task. Guess too high and you will have warehouses full of aged whisky that could end up in lower priced blends. Guess too low and potential profitable sales are missed. Bruichladdich previously reopened a closed distillery on Islay in 2001. The company says its mission is to keep part of the Scotch whisky making heritage under Scottish ownership. The Port Charlotte distillery will have a 1.2 million liter capacity when it is fully operational. The New Mexico House passed a bill by a vote of 35 to 20 over the weekend that sponsors claim will cut drunk driving in the state. The answer: eliminate the sales of single cans and bottles of beer from ice filled bins at stores check out counters. Rep. Miguel P. Garcia proposed the legislation because he says the easy access to cold beer encourages people to drink and drive. Rep. Garcia had originally proposed a ban on all beer sales at convenience stores after a crash in November that killed six people. The proposal now moves to the New Mexico Senate. Some have questioned the ban on single beer sales, saying that if the law is passed someone wanting beer will just buy a six pack instead. In the last couple of years, North Carolina and Georgia beer lovers successfully mounted "Pop the Cap" lobbying efforts to change outdated and nonsensical laws that had kept the alcohol content of beer to around 5 percent alcohol by weight. Now bills are being considered in Alabama, South Carolina and West Virginia that would open the door to a range of craft beers and imports. Proponents of the legislation note that under current laws about a third of the world's beer styles or illegal to sell in the three states. The cap means that drinkers cannot enjoy many Belgian ales, barleywine is out and just about any style with the word "Imperial" in the name is forbidden. In Alabama, state Sen. Parker Griffith has introduced a bill that would increase the limit from 6 percent to 14.9 percent. Beer lovers in the state are also trying to get the legislature to allow bigger format bottles. Right now beer can not be sold in cans or bottles that are larger than 16 ounces. In West Virginia, the bill would allow beer to have up to 15 percent alcohol. Interestingly, one of the groups fighting the measure are beer wholesalers. The West Virginia Gazette quoted John Casey, lobbyist for the West Virginia Beer Wholesalers Association, as saying "We think alcohol should be consumed in moderation, and increasing the alcohol content is going away from moderation. As a society, I don't know if we want to be pushing a higher alcohol content." Makes you wonder which side Mr. Casey is on -- it's certainly not the side of good beer and beer lovers. You can probably guess which brands the largest members of the WVBWA sell. A stance like this makes it easy for a legislator to vote against the measure. They have the cover of saying "the industry did not want the bill" in voting to limit consumer choice. Weekend Watering Hole: 5 Seasons Brewing Co., Atlanta, Ga.
As a regular weekend feature, Lyke2Drink will visit some of the world's great watering holes. This week we head to Atlanta to visit a brewpub that combines great beer and fine food. Frequent visitors of Lyke2Drink will recall my recent frustration with brewpubs that fail to deliver a quality experience. (If you missed it, check out my comments about a visit to Jacksonville's River City Brewing.) Consider me a tough customer: I actually expect good beer, friendly service and decent food when I make a trip to a brewpub and plunk down my money. It also helps if you have a staff that appears to actually enjoy their jobs and know a little bit about the beer and food they are serving. I'm passionate about beer and food. If you run a brewpub, I think you should be, too. This past week I was in Atlanta on business and an old friend, Richard Skiermont, and I decided to have dinner. I had very little time to do any research, but found that 5 Seasons Brewing was not far from where I was staying and the reviews from a couple people that knew the place were good. We decided to give it a shot. 5 Seasons reaffirmed my belief that you can run an outstanding brewpub. 5 Seasons has two locations in the Atlanta area. We hit the Sandy Springs restaurant; there is also one in Alpharetta. We started out in the bar and decided to have the sampler, which consists of five of the six beers they had on tap -- everything but the Barleywine (I had a glass of that brew as a nightcap). Each of the beers was clean and crisp. Each was a very nice representation of the beer style. I'm normally a fan of heavier beers and hoppy brews, but I found the clean and crisp Munich Helles to be a very refreshing lager. The Seven Sisters Munchner, named in honor of the seven breweries that host Oktoberfest in Munich, was nicely malty and ended up being the brew I decided to order with dinner. The other beers on the sampler were also enjoyable. The Spiny Norman, an American style IPA, is dry hopped with Cascade and Columbus. It had a nice hop aroma and a great fresh hop flavor. Big Horn Bock was perfectly balanced with firm malt tones and some good hop bitterness, while the Big O, an organic English strong ale weighing in at 6.8 percent alcohol by volume, was a nice dark color and had the kind of up front hop tones you would expect. Before leaving the bar we had the chance to meet Dennis Lange, one of the founding partners behind 5 Seasons. He certainly has a passion for the brewpub. During our chat he brought out a bottled conditioned Belgiam-style brew to share with us, a couple of regulars and one of the bartenders. The beer had been brewed eight months ago. It had a wonderful fruity tone that was a real treat. The dinner menu at 5 Seasons has Japanese influences because of Lange's background. He ran the very successful Yakitori Den-Chan in Atlanta before starting 5 Seasons. We started with the fried blue crab fingers and split a pair of entrees: a Kobe hanging tender, that was finished with baby shiitake mushrooms and onions, and a pork chop, that came with cheddar grit cakes, braised greens and caramelized apples. We also enjoyed a loaf of spent brewer's grain bread. The food quality was excellent. The service had a momentary gap, but the waiter alerted us that he had an issue to deal with and apologized when he came back. My faith restored in brewpubs, I'm ready for my next visit to 5 Seasons or whatever I find in my travels. The American Medical Association is sponsoring ads in college newspapers around the country with the theme "Stop the Madness" and calling for a ban on advertising by alcohol companies during the NCAA Basketball Tournament. While NCAA sites are not allowed to sell beer during tournament games, the AMA complains that the alcohol industry spends more than $52 million a year on advertising during college sports. The AMA says this encourages underage drinking. It says colleges should not accept the ads. Some schools already ban alcohol sponsorship of their teams. The NCAA says it limits the amount of beer advertising during NCAA Tournament games and they do not except ads for spirit brands. Acting U.S. Surgeon General Kenneth Moritsugu has issued a call to brewers, winemakers and distillers to halt alcohol advertising in college publications and sponsorship of college events. Surgeon General Moritsugu also proposed expanding educational initiatives to curb underage drinking. The major issue for colleges, students and the businesses that sell alcohol near campuses is that, with the 21 year old drinking age, most students do not become "legal" until their senior year in college. The Surgeon General's call was made as part of the release of a new report by the National Institute on Alcohol Abuse and Alcoholism and the Substance Abuse and Mental Health Services Administration, which said there are 11 million underage drinkers in the U.S. It's highly doubtful that eliminating campus alcohol ads will really have any impact on student drinking habits. The fact of the matter is that at 18 years old men and women in this country are considered to be adults in every single way except for the right to have a drink. Raising the drinking age to 21 was supposed to be a magical solution to a large number of real and perceived ills in the United States. The folks who backed Prohibition sold the same bill of good to Americans at that time. The reality is that the Prohibition now being inflicted upon 18, 19 and 20 year old Americans is meeting with much of the same contempt as was given to the Volstead Act. About the only thing that has been accomplished is that it has turned a group of otherwise law abiding young Americans into criminals for doing nothing more than drinking a beer. The Swedish government plans to sell V&S Vin & Sprit AB, a company it has controlled for 90 years and the maker of Absolut vodka, causing a land rush among alcohol marketers who would like to own the world's third leading selling premium liquor brand. Estimates are the sale could bring as much as $6 billion. The line of potential buyers is forming and it could get fairly long before a deal is done. Bacardi, Diageo, Pernod Ricard, Fortune Brands, LVMH Moet Hennessy-Louis Vuitton and even Anheuser-Busch have been mentioned as potential suitors. In addition to Absolut, the V&S portfolio includes Cruzan Rum, Plymouth Gin, other spirits and wines. They are calling it a loophole, but the crew of the Canadian frigate HMCS Fredericton have another name for it: Genius. The HMCS Fredericton was patrolling for drug-runners off the African coast last year and crew members came up with the idea to subsidize the cost of beer from profits of the sale of duty-free tobacco. According to media reports, HMCS Fredericton officers and crew ran a tobacco and alcohol scheme throughout the 44-day deployment to maintain the sailors' morale. The ship had been on fisheries duty and then sent on the extend drug patrol. The ship's canteen added the tax amount to duty-free cigarettes to stay within Navy policy to not encourage tobacco use. The extra funds then went towards subsidizing beer for crew members. During its mission the HMCS Fredericton seized 22.5 tons of hashish while off Angola. The Canadian Navy had been alerted to the shipment headed for Montreal. Special thanks is owed from the beer world to Stan Hieronymus at Appellation Beer for organizing and hosting the first edition of The Session, a beer blogging carnival now set for the first Friday of each month. If you like beer and have even a passing interest in stout you need to see Stan's round up of the work of about 30 bloggers worldwide consuming and writing about stout. It's black magic. Ernest Shackleton (1874-1922) was an Irish-born British explorer who tried to conquer Antarctica on several expeditions. During one failed attempt to reach the South Pole in 1908, Shakleton and his team built a hut on Ross Island and waited for nine months as temperatures dipped to -58 degrees. Part of what helped the crew pass the time was a stash of 12 cases of MacKinlay's Scotch, an Edinburgh distiller that had agreed a year earlier to serve as the expedition's official whisky supplier. After coming within 98 miles of reach their goal, the Shakleton expedition had to rush to leave Antarctica before the winter trapped them. The group left behind excess supplies in their haste to leave. Now a conservation team excavating ice from beneath Shackleton's hut has found two cases of the Scotch fully intact. The New Zealand-lead team decided to leave the whisky in the hut. One could only imagine what two cases of 100 year old Scotch might fetch at auction, especially with the historical significance of this find and the fact the whisky has literally been kept on ice for all of this time. That's all we are likely to be able to do, since the conservation team is says it has no plans to remove the whisky from the hut. As part of its partnership with Anheuser-Busch to acquire the Old Dominion Brewing Co. in Virginia, Fordham Brewing products will soon be available throughout the east coast. Fordham Brewing, located in Annapolis, Md., and A-B formed Coastal Brewing Co. as part of the Old Dominion acquisition. Fordham owns a 51 percent share of Coastal Brewing. The move also involves a doubling of Fordham's production capacity which will fuel a distribution expansion. Fordham brews a Lager, Copperhead Ale, Oyster Stout, Tavern Ale and a Light Beer. The plan is to add seasonal beers and use the A-B distribution system. Fordham was founded in 1995. A new study by the Travel Industry Association (TIA) found that 17 percent of Americans report they sought culinary or wine experiences while traveling during the last three years. The TIA study, conducted with Gourmet magazine and the International Culinary Tourism Association, found that the 27 million American "culinary travelers were "younger, more affluent and better educated than non-culinary travelers" and typically seek "unique experiences" when traveling. Edge Research surveyed 2,364 U.S. leisure travelers, finding the top five destinations for wine-related travel are: California, New York, North Carolina, Oregon and Pennsylvania. The study did not ask about beer or spirits related travel. According to the Brewers Association 2007 Beer Style Guidelines listing 125 different recognized beer types, there are eight styles of stout: British-Style Imperial Stout, Sweet Stout, Oatmeal Stout, Classic Irish-Style Dry Stout, Foreign (Export)-Style Stout, American-Style Stout, American-Style Imperial Stout and Specialty Stout. The truth is there are even more flavors of stouts than there are styles. There are brewers using ingredients like coffee and chocolate to brew up stouts. There are those that let more of a smoky, roasted flavor get into the beer, while others concentrate on delivering a creamy or sweet flavor profile. Some stouts are fortifying like liquid bread. Others are less heavy, but carry a punch. For this first edition of The Session organized by Stan Hieronymus at Appellation Beer, I did my homework, tasting several different styles of stout. I used Guinness Stout as my control, so I had a good starting point from which to find something beyond the traditional Irish stout. I journeyed a little bit, stopping to admire the earthiness of Wolaver's Oatmeal Stout and the thin, but nicely sweet and roasted characteristics of Left Hand Milk Stout. Then I came across a brand new brew and its name alone told me it deserved a place in The Session: Foothills Sexual Chocolate Imperial Stout. Foothills Brewing is located in Winston-Salem, N.C. Founded in 2004, I was lucky enough to visit the brewery a couple of years ago in its early days. The beers turned out by brewmaster Jamie Bartholomaus have impressed me since that early visit. At the Great American Beer Festival in Denver this past September, the Lyke2Drink team selected Foothills Baltic Porter as one of the 24 selections in the GABF All-Festival Case. The beer also happened to win the Gold Medal in the first ever GABF Pro-Am category. I'll let you decide which is the bigger honor. Foothills Sexual Chocolate Imperial Stout is a 10 percent alcohol by volume beer with 70 international bitterness units. Foothils infuses organic Peruvian cocoa nibs in the beer. Unlike Young's Double Chocolate Stout, which is a sweet beer, Foothills Sexual Chocolate is somewhat dry and displays a likable bitter baker's chocolate flavor in the finish. The draught I enjoyed was also just slightly tart and had a relatively small brown head, which remained until the end as a ring around the rim of the pint. According to Bartholomaus, the stout is made with three varieties of crystal malts, a blend of chocolate, black and roasted barley malts. The cocoa chunks are placed in muslin bags and Foothills racked the beer onto the cocoa. It's left that way for two weeks and then the beer is kegged. For the trivia buffs out there trying to recall, Sexual Chocolate was the name of the band in one of the scenes in the 1988 Eddie Murphy comedy, Coming to America. This Sexual Chocolate from Foothills, however, is no laughing matter. Interested in the other stouts consumed during The Session? Head over to Appellation Beer. Vineyards in Oregon had a record harvest in 2006, up 38 percent from the previous year. According to the National Agricultural Statistics Service, 34,400 tons of wine grapes were harvested in Oregon during last Fall's crush. The new record was the result of a good growing season and newly planted vineyards staring to produce a crop. Demand for Oregon wine is growing, thanks to the popularity of pinot noir and pinot gris, which form the backbone of the Oregon wine industry. Dutch researchers presented a study this week to the American Heart Association's 47th Annual Conference on Cardiovascular Disease Epidemiology and Prevention suggests light use of alcohol on a daily basis is associated with a lower rate of cardiovascular death and death from all causes. The study by the Division of Human Nutrition at Wageningen University and National Institute for Public Health and the Environment in Bilthoven, The Netherlands, suggested that wine might do a better job than spirits or beer. The Netherlands study looked at 1,373 men born between 1900 and 1920. The study tracked the men over a 40 year period. The surveys included drinking habits, dietary habits, body mass index, smoking habits and the prevalence of heart attack, stroke, diabetes and cancer. The statistics on alcohol consumption were adjusted to account for other risk factors. The participants who consumed one drink or a fraction of a drink a day compared to no alcohol intake had a 36 percent lower relative risk of all-cause death and a 34 lower relative risk of cardiovascular death. Further, the study found life expectancy was 3.8 years higher in those men who drank wine compared to those who did not drink alcoholic beverages. Government officials in Rochester, N.Y., hope to snag enough state and federal grant money to put the High Falls Brewing Co. in the energy business. Monroe County Executive Maggie Brooks used her State of the County address this week to lay out the plan to build an ethanol plant. Monroe County hopes to help High Falls Brewery attract state and federal funds to build a $3 million research and production plant, which would take brewery waste and turn it into ethanol. Brooks said the plant could produce 300,000 gallons of ethanol annually to help fuel brewery and county vehicles. Any excess product would be sold to local residents. If the fundraising is successful, construction would begin in January 2008. After a number of delays, Pittsburgh Brewing Co. has filed a reorganization plan that may allow the maker of Iron City Beer to emerge from bankruptcy. The plan calls for the company to be acquired by Pittsburgh Brewing Acquisition and pay $3.98 million to creditors, erasing millions in other debts. The brewery must win approval for the plan from the creditor group by April 27th. At least one half of the creditor group, holding at least two thirds of the debt must vote in favor of the plan. The investment group acquiring the company is headed by John N. Milne of Westport, Conn. Milne will become chief executive officer at the brewery, while fellow investor Timothy Hickman of East Liverpool, Ohio, will become the company's president. The plan calls for creditors to receive quarterly payments spread across five years. Left out in the cold are most of the estimated 75 shareholders of the current company, who will not receive any payments for their stock. The world of blogs contains the good, the bad and the ugly. Finding a blog worth checking out on a regular basis is usually an exercise in trial and error. Word of mouth can help propel the best blogs. In the case of wine blogs, Tom Wark, creator of Fermentation, a wine blog at www.fermentation.typepad.com, launched a competition to find the best.